Sophia Issa and Trifonia Just are two small girls with two big personalities. 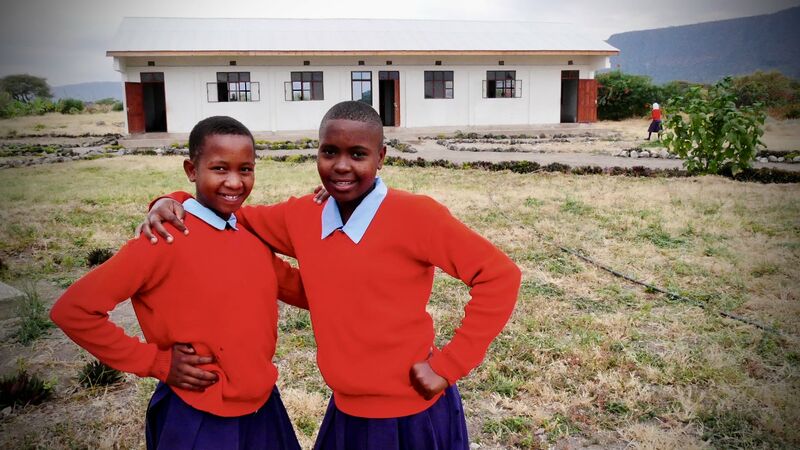 As incoming 7th graders at Mungere, they have taken advantage of their first few months in a new environment to learn not only about new subjects, but to really get acclimated with the school grounds, make new friends and learn how a student at Mungere can make the best of his or her education. What was the first day of school like for you? Trifonia: I was excited to see my friends again from primary school. It’s been awhile since we do not live close to one another. But for school, we all walk to the same place each morning, so I can greet them and spend more time with them. Sophia: I wasn’t scared at all. I was very happy to begin my education at the Mungere School, meet new students, learn new things and enjoy my time in a new school. How do you feel now that you have completed one semester (5 months) of school? Trifonia: I can understand a lot more English after 5 months. It’s very nice to practice with my friends and I can understand what the teachers tell us. Sophia: English is difficult because we only started learning in January. But, it is a good challenge and will help us when we want to go to university. I am happy that I can make progress with my English skills. Were there some challenges that you faced along the way? Trifonia: I live 5 kilometers away, and some days it can be hard to walk to school. When there is a lot of rain, it is a big challenge for me, but it is worth it. Sophia: English is hard for me but everyday I learn new words and some days I am very tired because I study a lot at night. Sometimes I have trouble remembering everything, but it is getting easier. What are you most excited about for next term? Trifonia: Learning new things and enjoying time with my friends. I really like being with them every day. 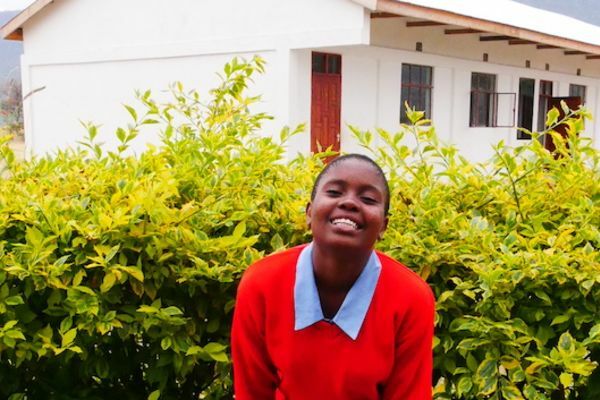 Sophia: I love the food, the garden, the teachers, and playing sports. So many good things happen when I’m at school. So, does this mean you like the Mungere School? Trifonia and Sophia together: YES!! Trifonia: If I stay home, I wouldn’t have an education or a chance to find a good job. The Mungere School is a good place for me, and I am very happy to be here. Sophia: I like where my school is very much. It’s very pretty and the environment gives us lots of food. We do our best to keep our school beautiful, and I feel good to be able to help. When I finish I will become a teacher so other kids can go to school, like me.